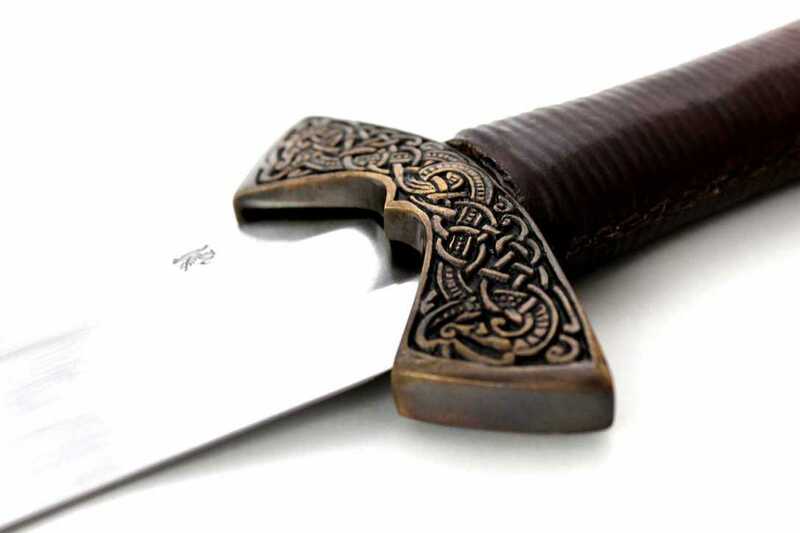 Viking swords, like the Vikings themselves, have reputations for being brutal and utilitarian devices, simplistic hacking weapons with little in the way of grace or beauty. This view has been perpetuated pop culture. For those who study Viking history and culture, though, they know that is simply not the case. Many Viking weapons that have remained for us to examine were not only functional but beautifully decorated. One such example is this sword, based on a find in Finland that dates back to the 11th Century. 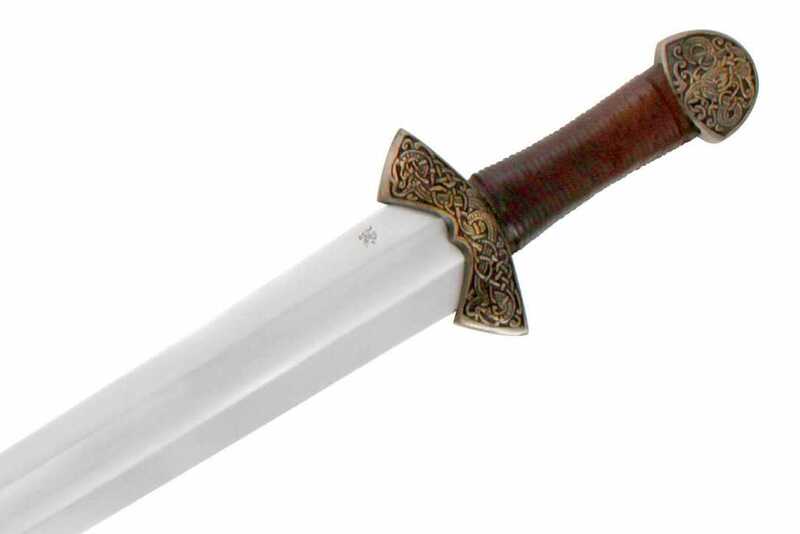 The long blade has a deep, wide fuller common among swords of this type, and which is an attractive offset to the intricate hilt design. 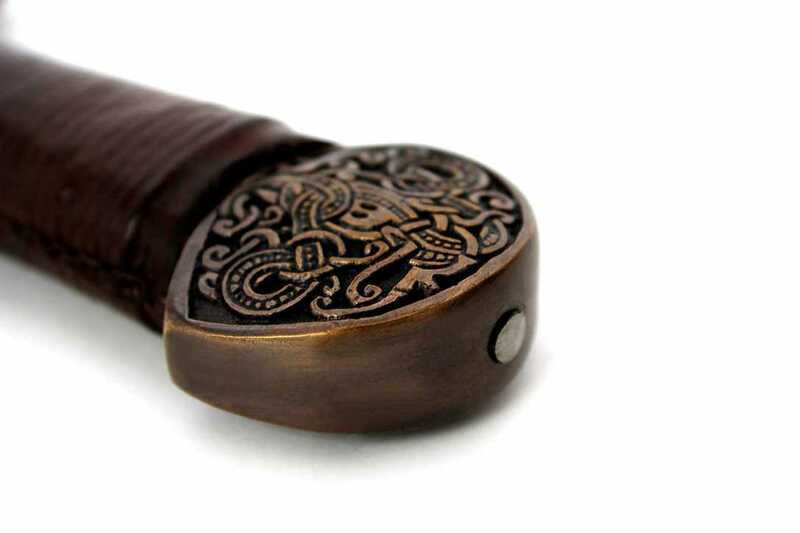 The hilt itself is extremely attractive and authentic, with solid bronze fittings and genuine leather wrap handle. 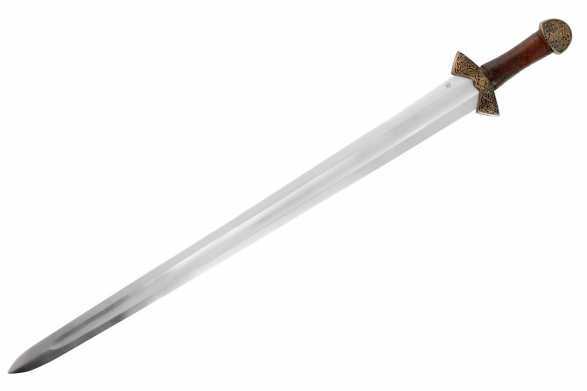 This 11TH c. Viking sword has a type AE pommel and guard according to Petersen's viking sword typology. This very unique style is accented by the knotwork commonly seen in Viking art from the same period. 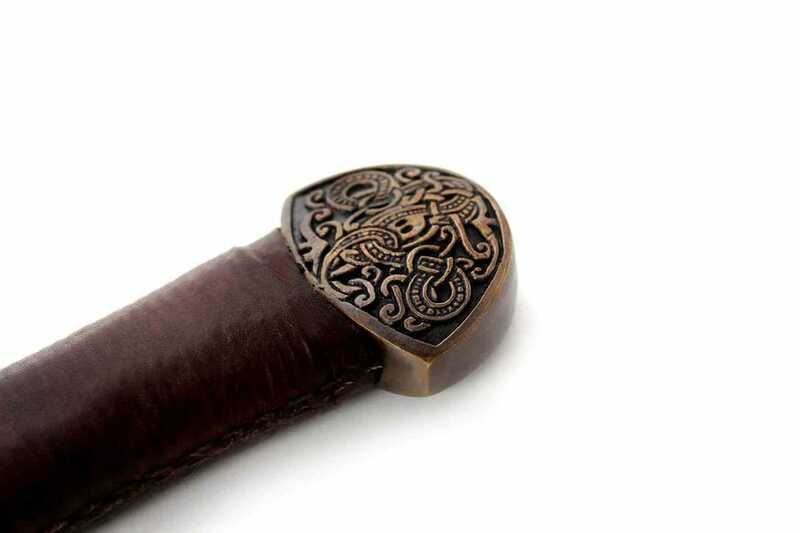 Visible in the scrolling design on the hilt are two dragons, which resemble the dragon-prowed ships the vikings would sail off on raids. The pommel also shows the image of the dragon in the intertwining loops. This is a beautiful sword! DSA continues to try and raise the bar with this latest Viking sword. The stunning bronze fittings promise to make this sword a conversation piece while it hangs on the wall – and the solid construction promises to make it a functional sword as well. 5160 Hand Sharpened Spring Steel Blade, Dual Tempered with an edge HRC of 60 and core HRC of 50. Solid Bronze Fittings. 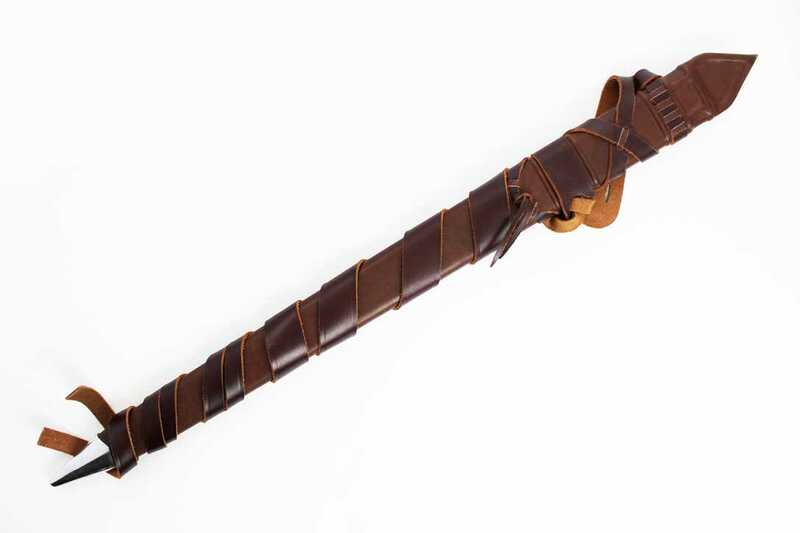 Wood core leather wrapped handle and scabbard with wearable belt and scabbard suspension system.